This morning Nikon announced the Nikon D5100. The successor of the Nikon D5000. A fortnight ago we went to the Nikon office in the Netherlands for a first impression and a chance to play with the camera. In this article our preview of the Nikon D5100. 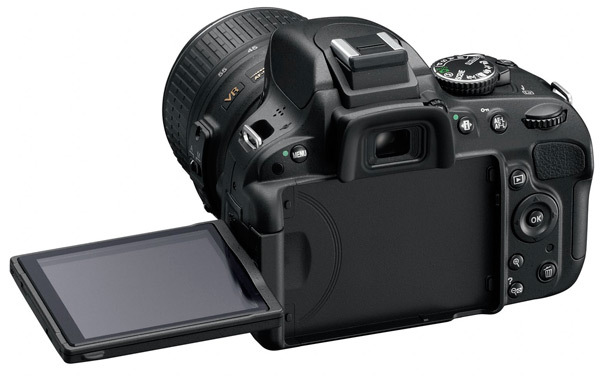 The Nikon D5100 is a solidly build camera that fits nicely into your hand. The grip is a bit small for people with larger hands (most men). In most cases it will not be too big a problem. The camera display, like its predecessor, rotates and tilts. The big difference is that the screen folds to to left instead of down. An improvement when you wish to use the camera from a tripod or when you want to take a self portrait. The display itself is 17 percent smaller than the display from the Nikon D5000. Not something you will quickly notice on everyday use. What is noticeable is the bigger screen. It went from a 2,7 inch to a 3,0 inch TFT. There are two new buttons to be found on this camera body. There's a special button for video. You'll find it close to the shutter release button. New also is the live-view button. This can be found next to the program select dial. It is easy to reach to and use. The mechanism that springs this lever back to its original state does this in a nice way. Unfortunately we aren't allowed to shoot photos with the pre-production model we had our hands on. We expect the image quality to be much alike the Nikon D7000. It uses the same sensor. Also new in the Nikon D5100 is the HDR function (High Dynamic Range). When you use this option, the camera will take at least two pictures in close sequence. These separate images are immediately converted to one HDR image. This function is hidden away in the menu, but you can assign it to the function button. The camera decides which different settings to use for the HDR and all you have to do is press the shutter release. It can be very useful when you have a situation with a lot of contrast; for instance a room with a window. Using the HDR function of the camera you can get a well exposed shot of the interior and exterior. The camera creates a single Jpeg with the processed HDR image. The function is only available for Jpeg. If you rather shoot RAW, you've have to use the bracketing functions and do it yourself. 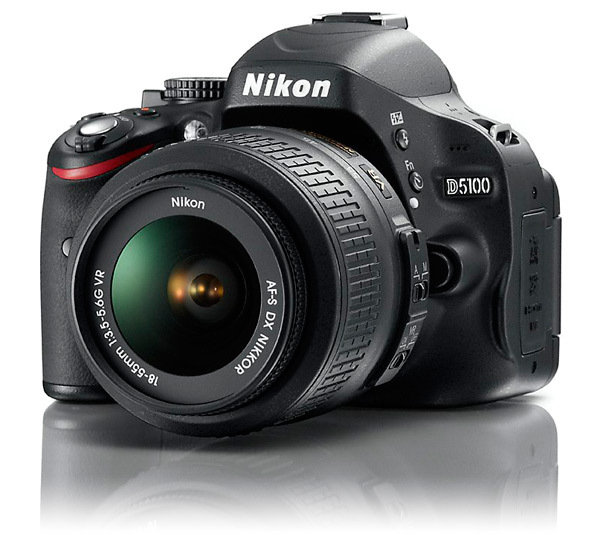 The Nikon D5100 is targeted to beginner photographers. You can see this in the elaborate post processing features in the camera. You can do edits like correcting red eyes, cropping, numerous filter effects and even video editing. This can be useful, but most photographers will rather do this on their own home computers where they can get better results. Edits are written into a separate Jpeg file. You can use a RAW file to start with. The Nikon D5100 video features are a step in the right direction. You can now film in full HD quality and use 24, 25 or 30 frames per second. This allows you to shot in de most used standards in todays film world. Another new product is the special stereo microphone Nikon will release later this year. Until now you had to look for another brand. You can place the microphone into the flash bracket. 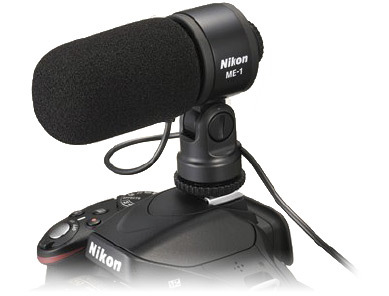 The Nikon ME-1 microphone can be plugged into your D5100 via a 3.5mm plug. A windshield is included in the package. The microphone should eliminate all autofocus motor sounds from the camera during the recording. Using the HDMI connection you can connect the camera to your television. You can use your TVs' remote control to operate the camera. An easy way to show the next photo or pause a video. Like earlier Nikon models this camera is suited for use with an Eye-fi wireless memory card. Nice if you wish to shoot tethered to any iPad for example. Of course the Nikon GP1 can be used on the D5100 also. 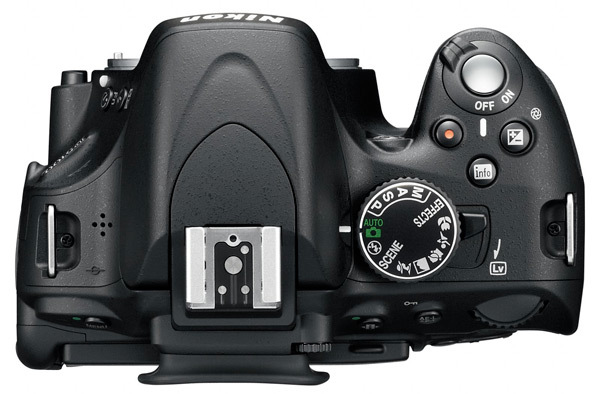 Just like the Nikon D3100 and the D5000 the Nikon D5100 also does not have an autofocus motor inside its body. Therefore only lenses with AF-S support are usable on this body (unless you don't mind focusing manually). In everyday use this will hardly be a problem, there is a wide array of AF-S lenses available. 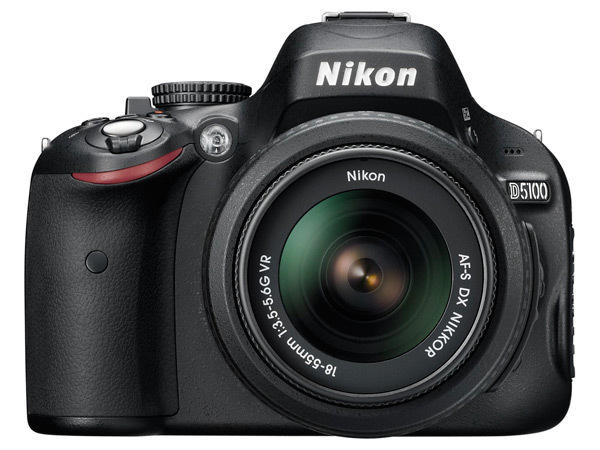 The Nikon D5100 should be available from April 21. Nikon did note that due to the earthquake there might be a little delay. The body will sell at 699 euro. There will also be some kit-lens versions available, like the Nikon D5100 combined with a 18-55mm (809 euro). At first glance this seems to be another fine Nikon camera model. A lot of photographers probably hoped for an Nikon D700 successor to be announced. No such luck this time, perhaps the earthquake did create a problem for this model..